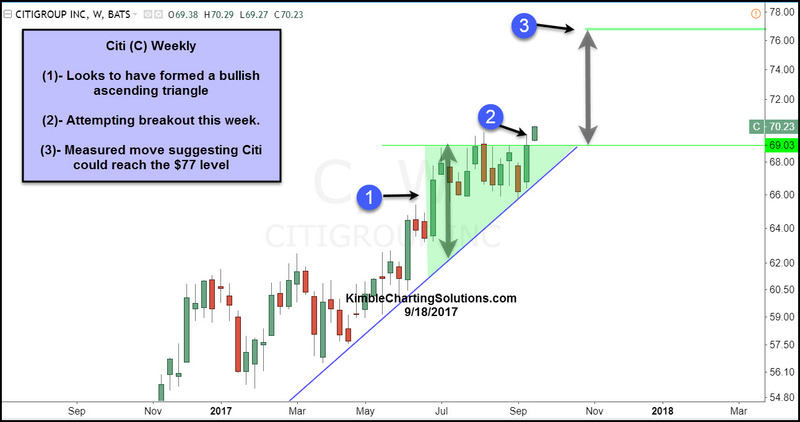 Over the past few months, Citi appears to have created another bullish ascending triangle. This pattern results in an upside breakout, two-thirds of the time. As mentioned above, Citi looks to have formed a bullish ascending triangle pattern at (1), where we applied a measured move calculation. This week Citi is attempting to break out of the top of the pattern at (2). 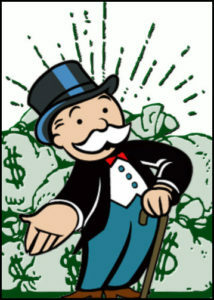 The measured move suggests that Citi could reach the $77 level, should it break out. Full disclosure-Premium and Sectors members have been long this stock for months and should the breakout take place, to continue holding this stock.